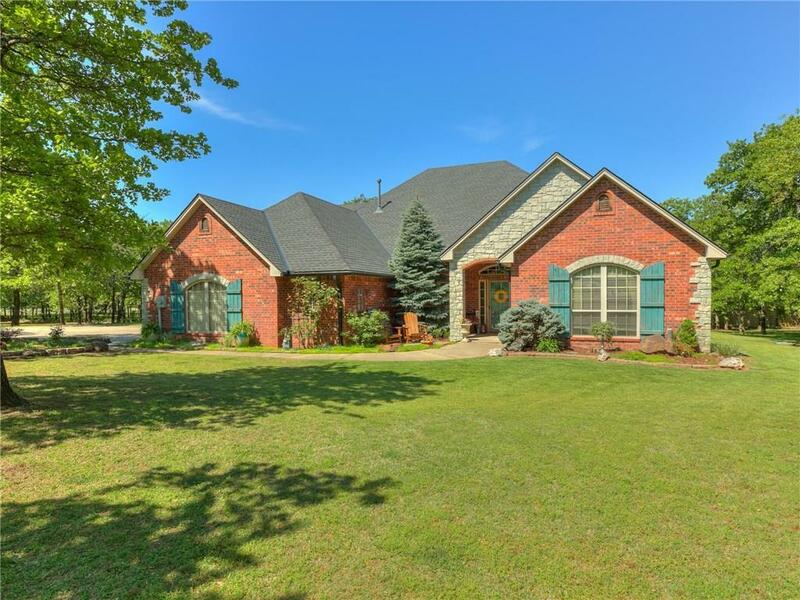 Living is easy in this well appointed, impressively spacious, Choctaw Hills Estates home. The floor plan encompasses four spacious bedrooms with plenty of room for study, sleep and storage, two and a half bathrooms, and a large and open kitchen that flows through to the breakfast nook. The expansive living room is the perfect place to entertain or unwind. The master bedroom, complete with walk-in closet and ensuite, ensures parents have a private oasis. Each of the 3 additional bedrooms is equipped with large walk in closets that would make most master bedrooms jealous. The Jack and Jill bathroom has both a hand-built walk in tile shower and a soaker tub! Perfect for anyone, this 1.370 acre property is ready for it's next family!